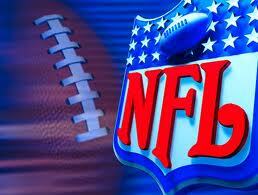 First, we have the New England Patriots headed to the Meadowlands to take on the New York Jets. Although I believe the Patriots will win this game with no problem; it’s my game of the week. Reason 1 – People in Boston just simply hate the people in New York, and vice versa. Reason 2 – These teams hate each other just as much, which was clear when Tom Brady said in a an interview with a Boston radio station that he didn’t watch any of the Jets Hard Knocks episodes because he “hates the Jets.” There’s some Sports Trash Talk for you straight from one of the league’s best! Brady said that the comment was all in the ‘fun of the rivalry.’ Brady went on to say, “It’s an intense rivalry and I think there’s not many New Yorkers that like people from Boston and vice versa. When I got here, it was always Yankees-Red Sox. There’s something between New York and Boston…the teams are very competitive and it’s been a great rivalry. Obviously, there’s been a lot of player movement over the years between teams…it makes it fun for the fans and it makes it fun for the players. It’s great for the league. I’m glad to be playing so early in the year.” So buckle up as there may be some fireworks in this game. Final score prediction – Patriots 30, Jets 17. Next, we have Eli Manning and his New York Giants taking on big brother Peyton Manning and the Indianapolis Colts. It’s always fun to watch the two brothers go head-to-head and we should see some large numbers put up by both. However, I think the Giants got a little unlucky when the Texans upset the Colts last weekend. I look for the Colts to be very sharp and aggressive and I believe the Colts will win this game 34 to 24. I mean after all, the Colts usually only lose 1 or 2 games a year anyway and I really don’t see that second loss coming at home this Sunday. Those are my key match-ups for week 2, but feel free to chime in and let us know what your key match-ups are. Also, don’t be shy in disagreeing with the Dr. I mean after all, your trash talk is welcomed because this site is "The Ultimate in Sports Trash Talk Entertainment."